We are a group of the European industries using molasses and other agricultural ingredients to produce food and animal feed. We represent companies employing around 3 million people across the EU. We believe that molasses should primarily be used for food and animal feed. That’s why we oppose the Commission’s proposal to favour the use of molasses in biofuels at the expense of human and animal nutrition. We believe that the EU renewable energy policy should be in line with circular economy. That’s why the EU should not use blending targets as a way to displace resources from high added value uses to biofuels. We believe that EU policy should prevent market distortions and that it should ensure a level playing field: all actors should have access to agricultural resources at the same conditions. The use of molasses for biofuels should not be favoured over food and feed. We support the development of truly advanced biofuels, which come from waste and residues with no significant alternative uses and which are available in sufficient quantities. The EU policy on advanced biofuels should not become a way to divert feedstocks from food and feed to biofuels. We created this website to provide fact-based information about this issue to explain how important it is to prevent the diversion of valuable food and feed materials, such as molasses, to biofuels. COFALEC is the confederation of yeast producers that represents the EU yeast industry in Europe. With 33 factories scattered through the European Union, one million ton of yeast produced each year and more than 30% of the production exported outside Europe, the yeast industry is an important player of the European food industry. Yeast is a natural living micro-organism used in traditional fermented products (bread, wine, beer) and more recently in human and animal health (probiotics). The European Fermentation Group is the voice of the European fermentation industry vis-à-vis EU institutions, national governments, and civil society. The main objective of the EFG is to ensure that EU policies promote the competitiveness of the fermentation industry contributing to the development of a sustainable European bioeconomy. Our companies mainly produce citric acid, lactic acid, vitamins, amino acids for animal feed and penicillin for antibiotics. For more information, please visit the European Fermentation Group’s website. 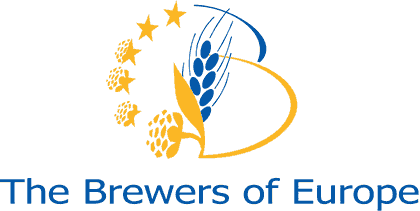 Based in Brussels, The Brewers of Europe brings together national brewers’ associations from 29 European Member countries and provides a voice to represent the united interests of Europe’s 7500 breweries. The Brewers of Europe promotes the positive role played by beer and the brewing sector in Europe and advocates the creation of the right conditions to allow brewers to continue to freely, cost-effectively and responsibly brew and market beer across Europe. For more information, please visit The Brewers of Europe’s website. The International Association of Plant Bakeries was founded in Paris in 1956. At present, 16 national member organizations are affiliated to AIBI. The association’s headquarters have been set up in Brussels Grand Place since the beginning of 2011. The markets for bread and pastry products have become more integrated over the years and the AIBI must take this development into account. AIBI holds contacts to key Members of the European Parliament and the European Commission services. The association’s presence in Brussels also facilitates the collaboration with other chain partner associations located here. For more information, please visit AIBI’s website. The European Feed Manufacturers’ Federation (FEFAC) was founded in 1959 by five national compound feed associations from France, Belgium, Germany, Italy and the Netherlands. FEFAC membership today consists of 24 national associations in 23 EU Member States as full members as well as Associations in Switzerland, Turkey, Norway, Serbia and Russia with observer/associate member status. The European compound feed industry employs over 100,000 persons on app. 3,500 production sites often in rural areas, which offer few employment opportunities. Farm animals in the EU-28 consume an estimated 480 million tonnes of feed a year, of which about 30% are produced by the compound feed manufacturers. Turnover of the European compound feed industry is estimated at 50 billion €. FEFAC is the only independent spokesman of the European Compound Feed Industry at the level of the European Institutions. FEFAC holds observer status in CODEX Alimentarius. For more information, please visit FEFAC’s website. The European Former Foodstuff Processors Association was established in January 2014 and represents 4 national associations (UK, NL, DE, FR), 3 full member companies (BE, IT, ES), 2 associate member company (CA, US) and 1 observer company (GR). EFFPA estimates approximately 3.5 million tonnes of former foodstuffs annually are processed into animal feed in the EU with a sector turnover of over € 1 billion for 2016. EFFPA strives to strengthen the position of the Former Foodstuff Processing industry as a responsible partner in the food and feed chain, advocating the contribution the sector makes to the circular economy. For more information, please visit EFFPA’s website. CAOBISCO is the Association of Chocolate, Biscuit and Confectionery Industries of Europe. to support the development of an innovative, sustainable, competitive and creative chocolate, biscuit and confectionery industry in Europe that represents the values of our member companies. With 15 member National Associations as well as direct member companies and affiliated members, CAOBISCO is the voice of more than 12.700 European chocolate, biscuit and confectionery manufacturers all over Europe. For more information on CAOBISCO, please visit CAOBISCO’s website. For more information, please visit CIUS website. CEBP is the craft association of the national Bakery and Confectionery Associations in the EU member states. CEBP represents more than 190,000 small and medium-sized enterprises with more than 2 million employees in Europe. One of our main tasks is to inform and convince the European Administration and the European Parliament about the local and regional importance of small and medium-sized enterprises through our interlocutors. The object is to reduce the endless number of regulations coming from the EU pushing small and medium-sized enterprises out of the food market. Furthermore, CEBP focuses on special tasks such as the hygiene law, the complete food law etc.